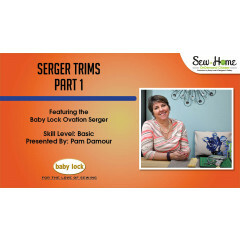 Learn even more pretty trims to adorn your projects with Pam Damour in this class! 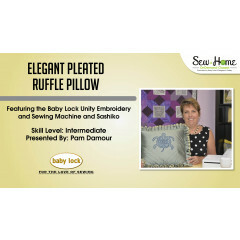 Explore techniques such as ruffling, knife pleats, shirred welting, the double ruffle, and box pleats! 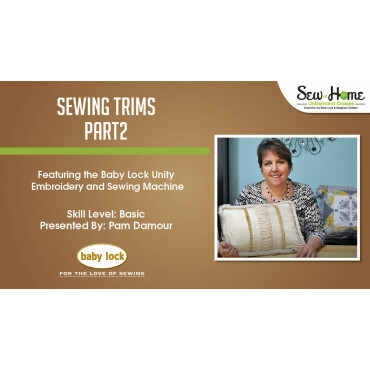 Pam will show you time saving techniques along with specialty accessories to make the most of your precious sewing time. This class was sewn entirely on the Unity and is relevant for any of our machines that can use the feet listed below. This includes most of the machines in our current line beginning with the Rachel.